This article was published on Review Nepal. June 28th 2009. 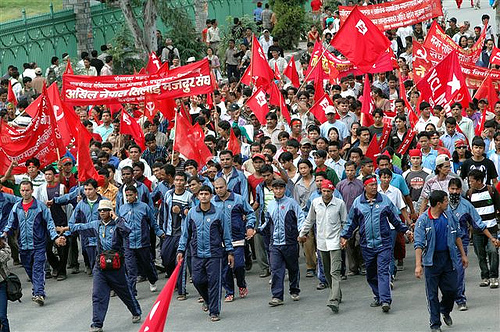 – Kathmandu, Nepal – ideological differences has been heightened in the united communist party of Nepal Maoist as party’s hardliner faction has strongly presented with demand to incorporate the portion of possible people’s revolt on the paper presented by party chair Pushpa Kamal Dahal Prachanda. Due to the differences the ongoing the politburo meeting has been put off on Sunday for a day with intent to minimize the differences and make the paper unopposed. The hardliner faction led by party leader Mohan Baiddha has been demanding that the presented paper should be corrected by adding the possibility of people’s revolt as the party’s strategy. We are the Maoist ideologically believe on revolution to capture the state power, so we should not leave totally from the party line where as it would be needed on future said a leader preferring anonymity. In the presented paper by the chair Prachanda the possibility of people’s revolt is not mentioned. According to the party source the next meeting to be held on Monday party chairman Pushpa Kamal Dahal is to answer the queries and criticism on his political report. The following document is a major comment by the leading Politbureau of the Communist Party of India (Maoist) on controversies within the international Maoist movement. 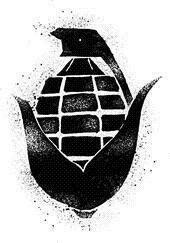 It was sent to the Unified Communist Party of Nepal (Maoist) on May 20, 2009, and has now been made public. 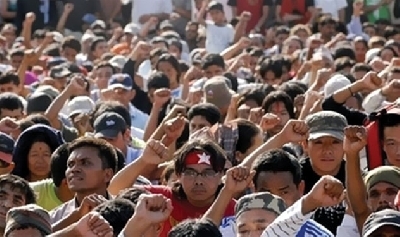 As the Unified Communist Party of Nepal (Maoist) has maneuvered on the doorstep of seizing state power, there have emerged a series of open letters from other communist parties — engaging the approach taken by the Nepali Maoists, and struggling over major controversies facing communist revolution internationally. Previously Kasama published an exchange of letters between the RCP,USA and the UCPN(M). Now we are sharing this document by the Indian Maoists. For now, we are also making this letter available in pdf format. We will be posting a more readable PDF version, in pamphlet format, Monday evening. This article was published on Telegraph Nepal. One of the senior member of the Maoist party Secretariat, Mr. C. P. Gajurel aka GAURAV, has stressed that there was the urgent need for waging a fierce struggle in order to preserve Nepal’s sovereignty, national independence and against what he called “increasing foreign interference”. Mr. Gajurel made this fervent appeal while addressing a program organized by one HR organization in Kathmandu, June 24, 2009, on the topic, “Nepal’s Border Security and the Citizens’ Rights” in Kathmandu. “It is now time that the common citizen be militarily trained who in turn could safeguard the national independence”, opined Gajurel. This article was published in the Times of India. Thanks to Ka Frank for pointing it out. LALGARH: Amid allegations that security forces were ransacking homes and even throwing away food, villagers in this trouble zone where operations to flush out Maoists have been on for a week said on Wednesday they would continue to put up resistance. “Lot of people have fled the villages. But some have decided to stay back in their houses. And they feel they will suffer at the hands of the forces whether they remain in the villages or not, so they have chosen to die resisting the forces,” Sidhu Soren of the People’s Committee Against Police Atrocities (PCAPA) said. Another PCAPA leader Chhatradhar Mahato indicated that the agitators would lie low for some time and resume their movement once the central forces comprising the Central Reserve Police Force (CRPF) and the Border Security Force (BSF) leave. “We know we can’t resist such a massive force. But the central forces will not stay for ever. Once they leave, we will resume our agitation in the scale we did last November,” Mahato told reporters. This article was written by Ben Peterson and published on his blog Lal Salam. This article was posted on Telegraph Nepal. The United Maoists Party’s senior leader Mr. Mohan Baidya Pokharel alias Kiran has opined that the Maoists party should take the path to Peoples’ Uprising-III to form the Maoists’ led National Government. Mr. Baidya made these remarks talking to journalists on Tuesday June 23, 2009. 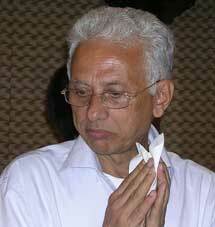 “The deadlock must come to an end through the third peoples’ revolt and ultimately to form the National Government, said Kiran..
“The Imperialists and Expansionists foreign powers have provided this puppet government a shape under the command of Madhav Kumar Nepal”, said Kiran adding that the formation of the puppet government is against the mandate of the Nepali population. 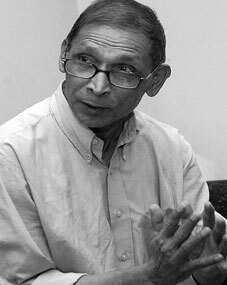 “The Maoists’ led revolt is yet incomplete…the next revolt will ensure Peoples’ Republican order and safeguard Nepal’s unique identity”, Kiran also said. To add, in the ongoing Maoists’ politburo meeting, Maoists leaders C.P. Gajurel, Netra Bikram Chand and Dev Gurung have stood in favor of Mr. Baidya’s line. This article was published on the revolutionary blog Ajadhind. The ban will not effect us. The Centre on Monday banned the Communist Party of India-Maoist as a terror organisation to avoid any ambiguity after the merger of the Communist Party of India-(Marxist Leninist) Liberation and Maoist Communist Centre in 2004. However, West Bengal’s Left Front government feels the Centre’s move would make the outfit more aggressive. A large section of the Communist Party of India (Marxist) feels banning the Maoists will hardly make any difference on the ground and it is better to counter them politically. On Monday, Gour Chakraborty, the CPI (Maoist) spokesman, told rediff.com over the telephone that the Centre’s stand would have no effect whatsoever on his party. This article was posted on the BBC. Thanks to Ka Frank for pointing it out. The Indian government has banned the Maoist Communist Party of India as a terrorist group, giving security forces enhanced powers of arrest. The move provides Indian police with the power to detain members of the party even if they have not been involved in insurgent activity. Earlier, five states across east and central India were put on a high alert as the Maoists called a two-day strike. One district in West Bengal briefly fell under almost total Maoist control. The rebels said the strike they declared was in response to the “war” on people in Lalgarh, West Bengal, where security forces launched an offensive in recent days. 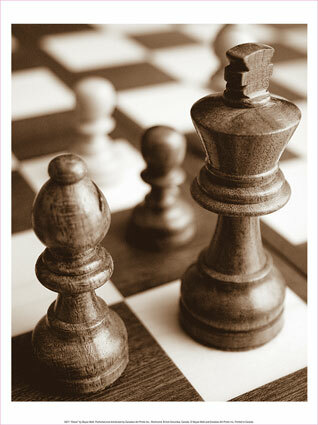 We would like to call your attention to articles on the important events occurring in Lalgarh, West Bengal, India. Ka Frank’s Urgent Call: The Indian State vs. the people of Lalgarh. 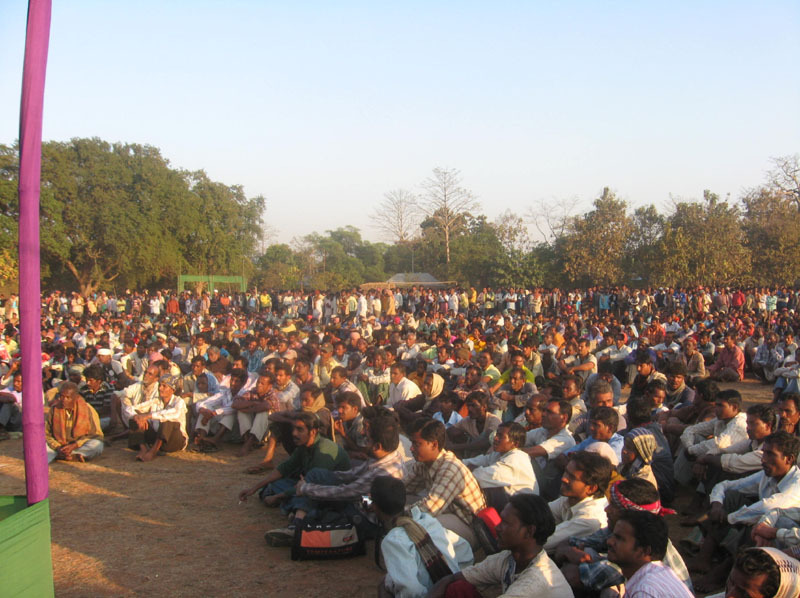 People’s Truth: The uprising in Lalgarh. BBC report on the Maoist “rampage”. Alastair’s collection of posts from Revleft. The following article was published in the Times of India, thanks to Maoist Revolution for sending it out. My name is Manoj.. It’s not the name my parents gave me, but all my comrades call me ‘Manoj’.. My father’s name is Dhiren Murmu. I am his second son and I am 25. I was born at Bamundanga village in Salboni. I’ve lived most of my life in this hopeless village. Note from Kasama: The following report appeared in the press, concerning the debates taking places within the meeting of the Nepal Maoists top leading body, the politburo. We have no way of knowing if this report is accurate and what the specific lines under debate currently are. However we post this here because this speculation (even possible disinformation) from the press is of obvious interest to our readers. The nineteen page long political proposal forwarded by the Maoist Party Chairman Pushpa Kamal Dahal on June 16, 2009, at the Maoists party politburo meeting has been labeled as ‘status quoists’ by the majority politburo members of the party. The majority politburo members of the Maoists Party ventilating their views on Wednesday June 17, 2009, said that the proposal forwarded by Chairman Dahal if accepted by the party would tantamount to be a betrayal to the revolution thus to save the revolutionary credentials of the party, a new forward-looking proposal is demanded. Dahal proposal entitled “Current Situation and the role of the Proletariat” has also been termed as a document surrendering to the revolutionary ideals of the party. Chairman Dahal proposal favors the formation of a National Government led by the Maoists party. Help circulate and cross-post this. 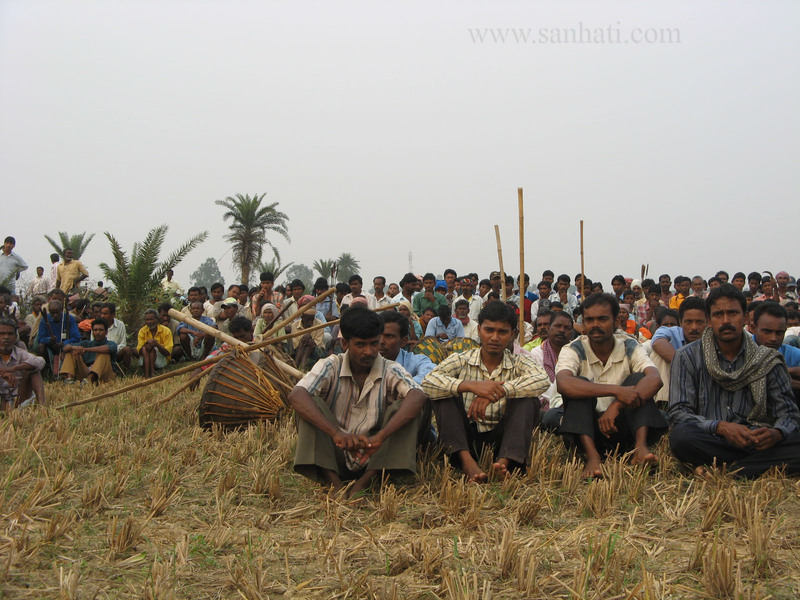 The Indian state is mobilizing its forces to crush the just struggle of the tribal people of Lalgarh, West Bengal. In the last 24 hours, West Bengal’s state police and 11 companies of Central paramilitary forces have started to move towards Lalgarh. 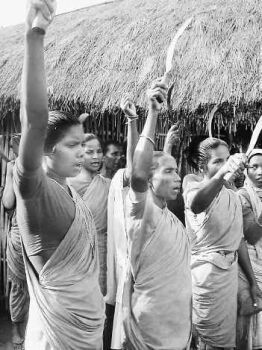 In November 2008, the tribal people (adivasis) of Lalgarh rose up against decades of abuse by the police and goons of the Communist Party of India (Marxist), the ruling party in West Bengal. This is the same phoney “communist” party that has tried to give away peasants’ lands in Nandigram and Singur, only to be beaten back and exposed by determined struggle. In recent years, thousands of adivasis in the Lalgarh area have been imprisoned on false charges of having ties with the Maoist insurgency. They formed the People’s Committee against Police Atrocities, which has extended its influence to 1,100 villages in the region. Led by the People’s Committee, the adivasis have driven the police and CPM cadre out of the area, burning down police camps and digging up roads to prevent the state authorities from re-entering. 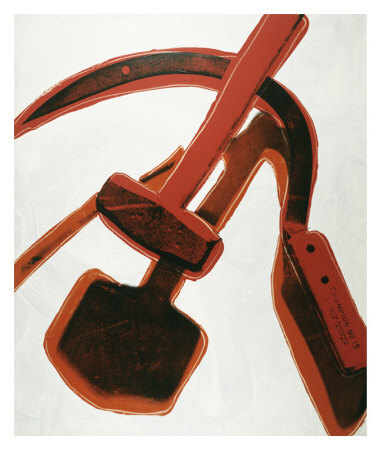 Activists of the Communist Party of India (Maoist) have played a leading role in the People’s Committee and in extending the struggle into new areas. The Maoist Party in the district of Surkhet, Bheri Zone, has revived its parallel government that was active during the period of their Peoples’ Revolt. However, after the signing of the Peace Agreement with the seven parties the party had dismantled the parallel State Structure. The parallel structure that was known as Revolutionary People’s Council has been re-structured and renamed as “Village Government”. The Maoists Bheri-Karnali bureau secretary Mr. Khadga Bahadur Gharti declared that the Maoists’ Village Government has been revived. Magar Rastriya Mukti Morcha (MRMM), an ethnic wing of Unified CPN (Maoist), has shut down nine districts in mid-western region falling under its Magarat Autonomous Province. Normal life in Palpa, Argakhachi, Baglung, Gulmi, Rolpa, Pyuthan, Rukum, Salyan and Myagdi districts were badly affected due to the general strike called by MRMM in these districts. Reports say that MRMM activists including other Maoist cadres started staging protests in most of the affected districts since early today morning. Markets, academic institutions, offices and industries have been closed in the districts due to the strike while vehicles have mostly stayed off the streets fearing reprisals from the protesters. Burning the house of CPI(M) leader. The CPI(M) has been the oppressive ruling party in West Bengal for decades. Hundreds of Maoists backed by thousands of villagers have seized the ruling party’s last stronghold in a troubled part of India’s West Bengal state. Armed rebels are reportedly patrolling roads around the village of Dharampur in the Lalgarh area after police fled. Three people were killed, reports say. Rebels have been entrenching themselves in Lalgarh since last November and now have almost total control of the area. 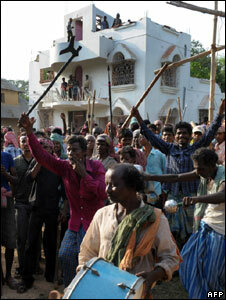 Maoist-linked violence has killed 6,000 people in India over the past 20 years. The rebels operate in more than 180 districts across east and central India and are seen as a major threat to national security. Last week more than 20 police were killed in the eastern state of Jharkand. 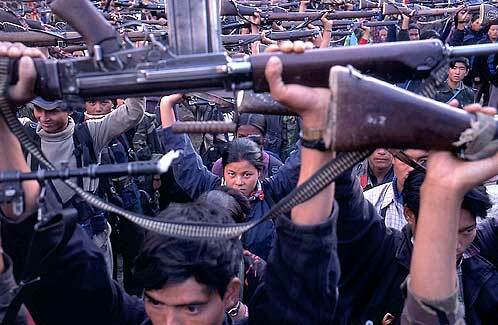 The Maoists say they represent the rights of landless farmhands and tribal communities. The BBC’s Amitabha Bhattasali in Calcutta said that as hundreds of workers from the state’s ruling Communist Party of India (Marxist), or CPI(M), fled the Lalgarh area, Maoists claimed it as their first “liberated” zone in West Bengal. One of the police posts was later set ablaze and the Maoists were reported to have demolished the house of a local communist leader. “The Maoists went on a rampage yesterday in Dharampur village and ransacked our zonal secretary’s home and party office before setting it on fire. Three of our men are dead and six more still missing,” a CPI(M) official said. District Administration Office, Kalikot has clamped a curfew in and around district headquarter Mangma after the situation in the area became tense following attacks by Maoist cadres at the UML party office, Sunday evening. Cadres of the Unified CPN (Maoist) had vandalized the party office of CPN (UML) in Mangma and attacked over a dozen UML cadres, Sunday afternoon. The situation had become tense after UML cadres protested against the attack.